Shamrock emerged as one of the biggest stars in the history of mixed martial arts, headlining over 15 main events and co-main events in the UFC and Pride Fighting Championships during the course of his career and setting numerous pay-per-view records with his draw power. Shamrock is widely considered to be a legendary icon in the sport of mma. However, Ken is most famously known for his very public rivalry with Royce Gracie! Royce had shocked many with his quick submission of Art Jimmerson in the opening round of UFC 1 advancing in the brackets where he was then slated to meet Shamrock. Most had picked Shamrock as the odds on favorite to win the entire UFC tournament. The same people felt that the size and strength advantage of Shamrock coupled with his shoot fighter background would be too great a deficit for Royce to overcome. On paper, this was a bad matchup for Royce. Gracie surprised everyone in attendance by diving straight for a double leg takedown on Shamrock. Shamrock defended the takedown. 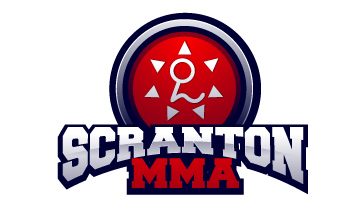 Gracie reversed Shamrock quickly, then pulled guard, defended a foot lock attempt by Ken, advanced to mount, then during Ken’s escape attempt slapped on a modified rear naked choke forcing Ken to tap out at the 57 second mark. 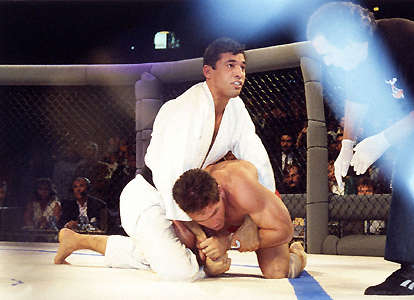 The quick fight between Royce Gracie and Ken Shamrock was not only one of the earliest public displays of the power of Gracie Jiu-Jitsu but also served to launch the historic careers and subsequent rivalry of these two great UFC stars.